Quicklime is an essential chemical required to treat low quality soils in order to improve the soils workability and load bearing characteristics. Quicklime, hydrated lime and hydrated lime slurry are all utilized for these purposes along with providing an improved working surface. 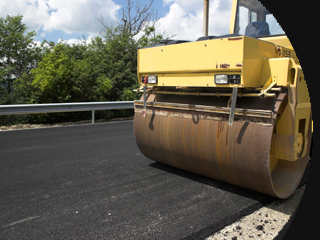 Hydrated lime has been recognized for years as an excellent anti-stripping agent for asphalt pavements. Other benefits include resistance to moisture damage, fatigue cracking, thermal cracking and rutting. Pulverized Limestone (PLS) is an excellent choice as mineral filler to supplement the asphalts structural integrity.